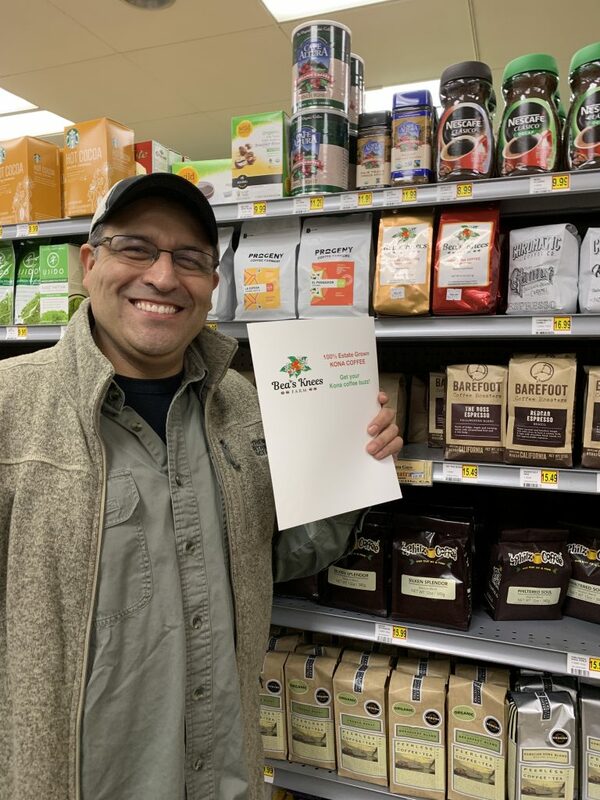 For those of you in the San Francisco Bay Area, Bea’s Knees Farm coffee is now on the shelves at Ava’s Downtown Market in downtown Mountain View. This is the first, and currently only, brick & mortar location selling our coffee. Coffee will sell at $19.99/half-pound here. What’s on the shelf was roasted on Dec. 17. Years ago, Juan and I were chatting about various things concerning the store. 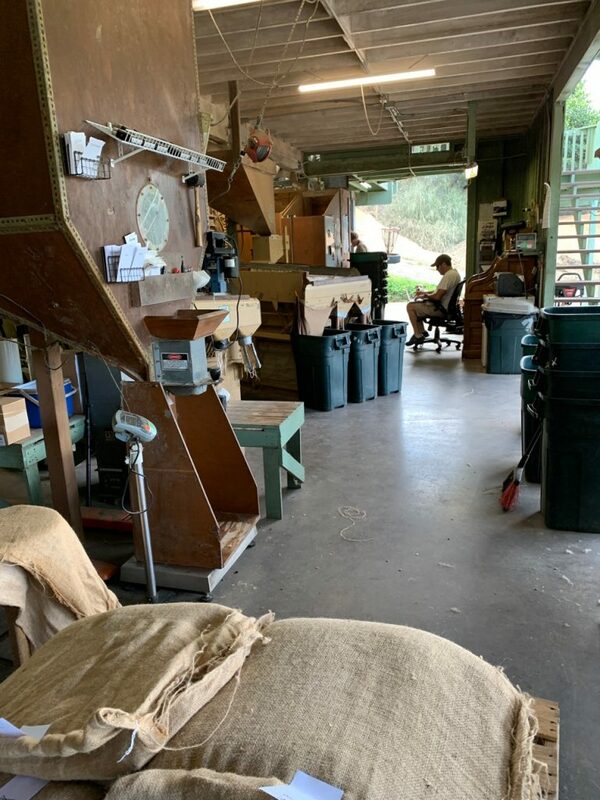 Somehow I learned he really liked the large coffee burlap sacks (they often hold around 100 pounds). I had several from various Kona farms because I wanted to sew one of those reversible handbags, with fabric on one side, and the logo part of a burlap coffee sack on the other. (I still haven’t made one). 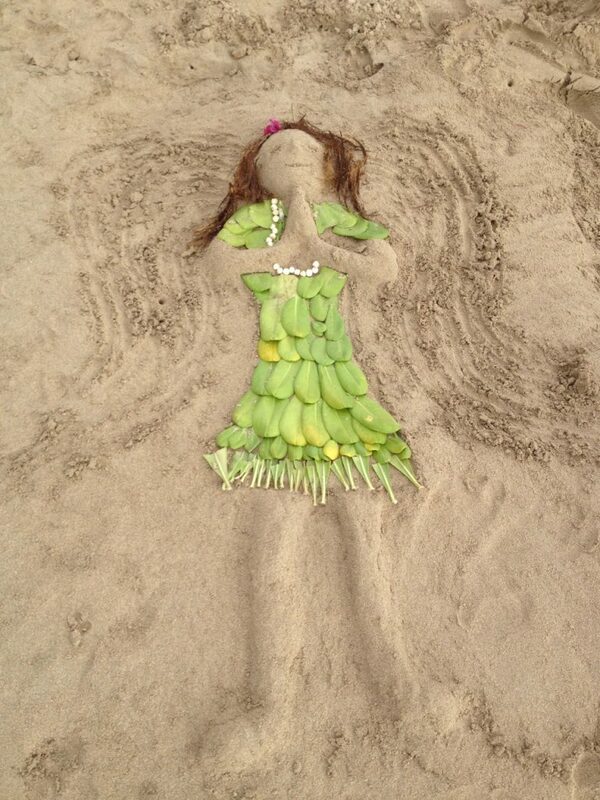 I gave Juan a burlap sack a few days afterward. Fast forward to now. I was shopping in the store and Juan mentioned he still has that burlap bag I gave him. I told him we now have roasted coffee from our family farm, and I later brought him a bag as a gift. He asked if I wanted to sell it in the store. I said no. But I reconsidered. Juan is a kind, personable, thoughtful, and ever-helpful grocer. To me, he personifies what you fantasize your local grocer can be. Regardless of whether you buy our coffee there, when you shop there, you directly support Juan and his family. For a few years now, we usually make our coffee as a pour-over. There’s a little story to that. One time we were housesitting for friends. We knew they owned a coffee maker, but we couldn’t easily find it. They did have a cool, beehive kettle on their stove, though. We found the drip cone & the filters. I used to make pour-overs in college before they were called pour-overs. 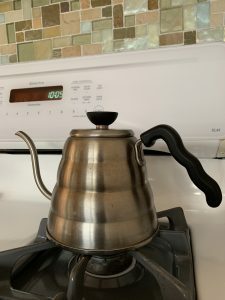 I had a plastic Melitta cone, which I’d put on top of my cup, and I’d pour boiling water into it. I was curious why this beehive kettle would be designed the way it was. And then I internet-stumbled upon the passion of coffee drinkers and their brewing methods. And I read many articles about how to make a great pour-over cup of coffee. For a recent example, check out this article about making pour-overs like a barista. It was shortly before my husband’s birthday, so I thought that kettle and a pour-over dripper (also its own research topic) would make a perfect gift. Something he might not buy himself, but a small indulgence he could enjoy at the start of each day. You can put whatever kind of effort or exactitude into your pour-over as you like. I like the simplicity and that you can tailor each person’s cup to that person’s wishes — strength, amount — by adjusting the grind size, the amount of coffee and water used, the rate and how you pour in the water. The coffee is made when the person wants to drink it; no more 1.5 hour old coffee sitting in the coffee maker. I enjoy the process of making it. I feel I enjoy my coffee more when I pay attention to making it. I particularly like inhaling and smelling over the dripper when you first let the grounds “bloom” — when you just wet, but don’t soak, the grounds, and you see the little bubbles of CO2 rise out of your grounds. A few friends have asked if there’s anything I feel really strongly about regarding making coffee. I do think freshly grinding coffee makes a big difference, and best is right before you’re going to drink it. There are really so many variables!! Experiment with what works for you and discover what you like and what you feel is worth the effort and price. 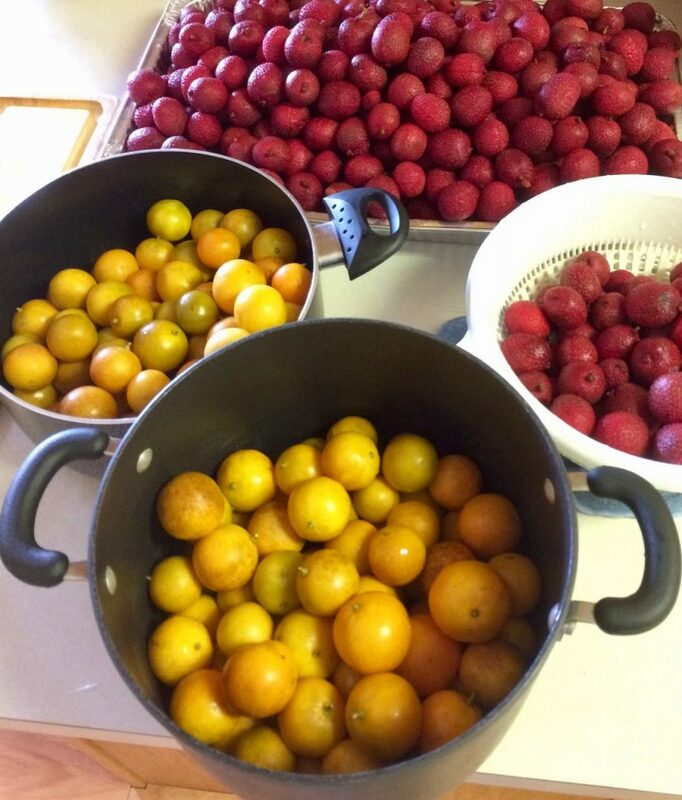 It’s the holiday season, so it’s time for a recipe! This one (adapted) is our favorite from Smoke It Like a Pro on the Big Green Egg & Other Ceramic Cookers, by Eric C. Mitchell, 2015. To respect the cookbook author’s copyright, the method is not described in detail as in his cookbook. If any of you have a recipe to share — something that uses coffee or something that goes well with a cup of coffee — please contact me! Put the glaze ingredients together in a sauce pot and simmer over low heat until it’s reduced to half. Mix the dry rub ingredients. If there’s a thin skin on the tenderloins, remove it. Rub the pork with the olive oil. Sprinkle and press the coffee rub into the meat. Cover with plastic wrap and let sit in the refrigerator overnight or at least several hours. Prepare your grill for 500º F (260º C). Sear the pork for one to two minutes per side. Remove the meat and reduce the grill to 350º F to 375º F (177º C to 191º C). Return the pork to the grill and cook with the lid on for about 10 minutes, turning twice (watch the temperature when you open the lid; it may go up). When the internal temperature reaches about 120º F (49º C), brush on most of the marmalade glaze, saving some (2-3 Tbsp) to apply later. Continue cooking until the internal temperature reaches 135º F (57º C). Remove, add the reserved glaze, cover with foil and let rest for 15-20 minutes. Cut into 1/2-inch slices and serve hot, warm, or cold. Shown are lychee and calamondin from Bea’s Knees Farm. Calamondin, the orange fruit, is similar to kumquat, but it’s even more sour. I like to eat kumquats, but calamondin are too sour for me. I love kumquat marmalade, but I love calamondin marmalade even more. 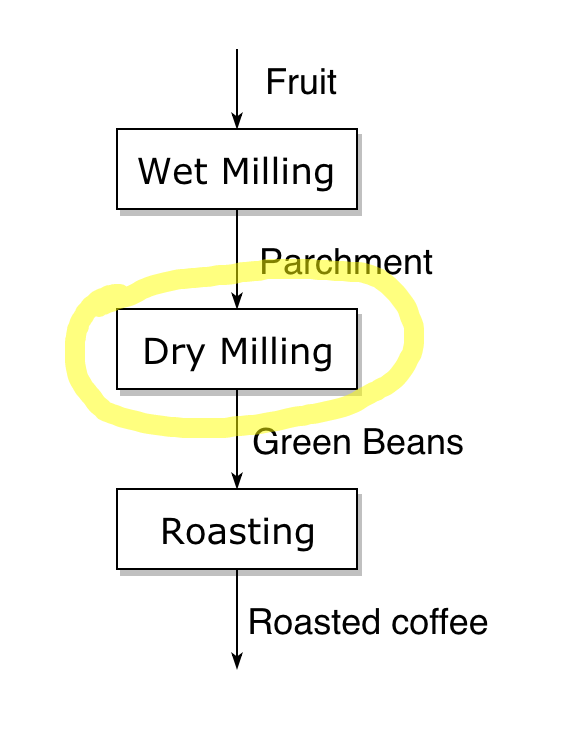 In coffee processing, dry milling (or parchment milling) follows wet milling (the collective steps from coffee cherry to dried parchment). Dry milling is when the parchment skin, the husk, and the silver skin are removed from the bean. 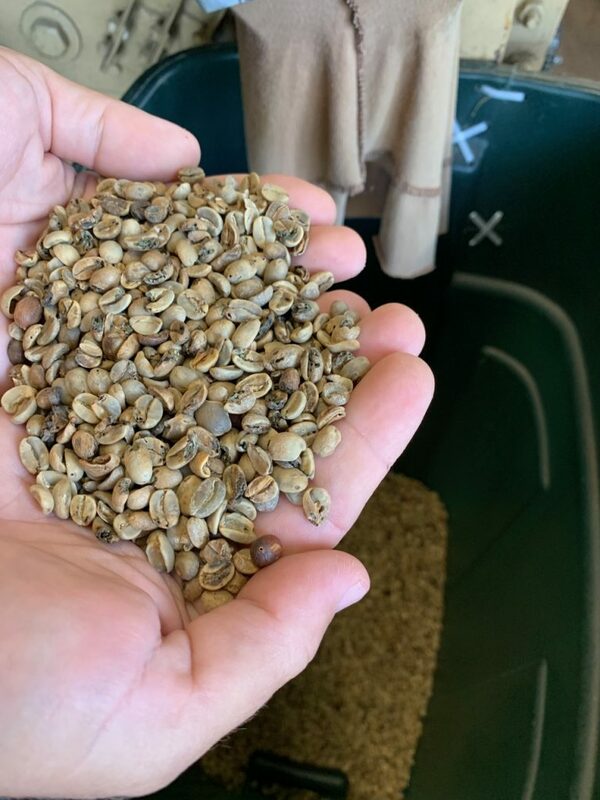 The result is green coffee, and the beans are graded. 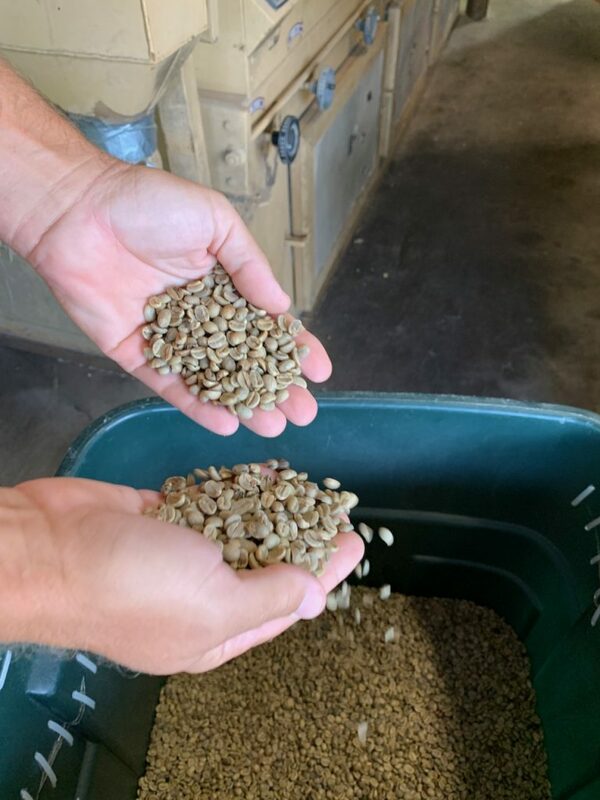 Our coffee is dry milled at the Holualoa Kona Coffee mill, who mills for many farms. The mill office. The milling starts in that open area beyond the chair. Dried parchment is emptied in the grate at his feet. 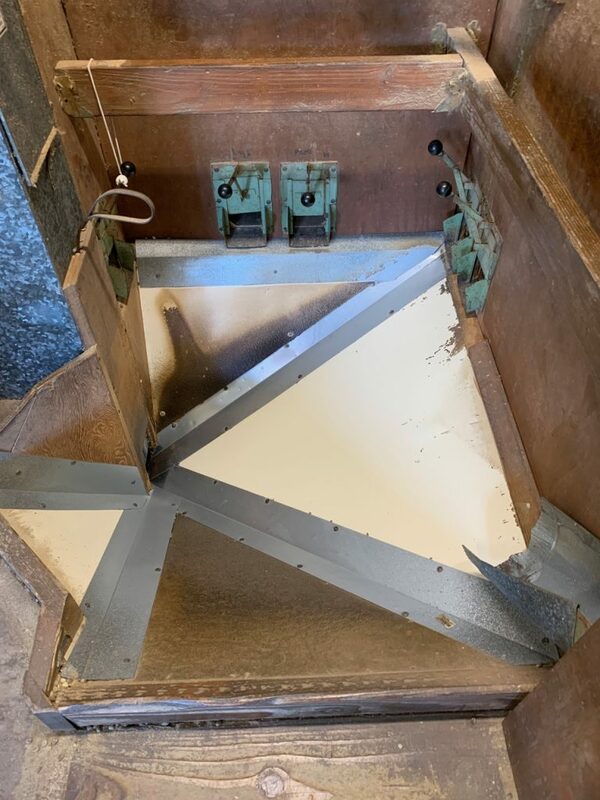 It’s transported up the elevator to the huller which removes the parchment husk. Green beans emerge after hulling and go up the elevator to the right to the grader. 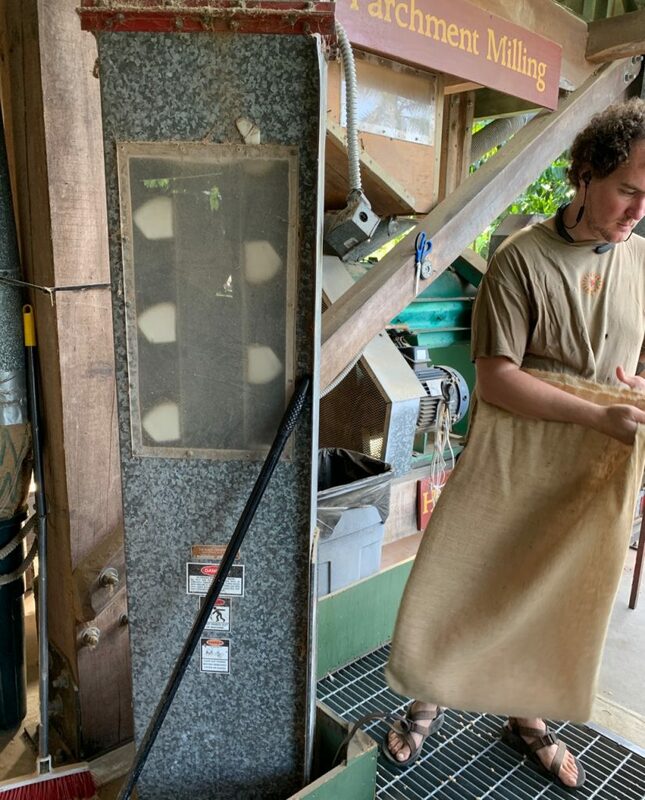 This video shows the parchment going up the elevator towards the huller. On the right is the elevator which brings up the green beans, which then go through the grader. 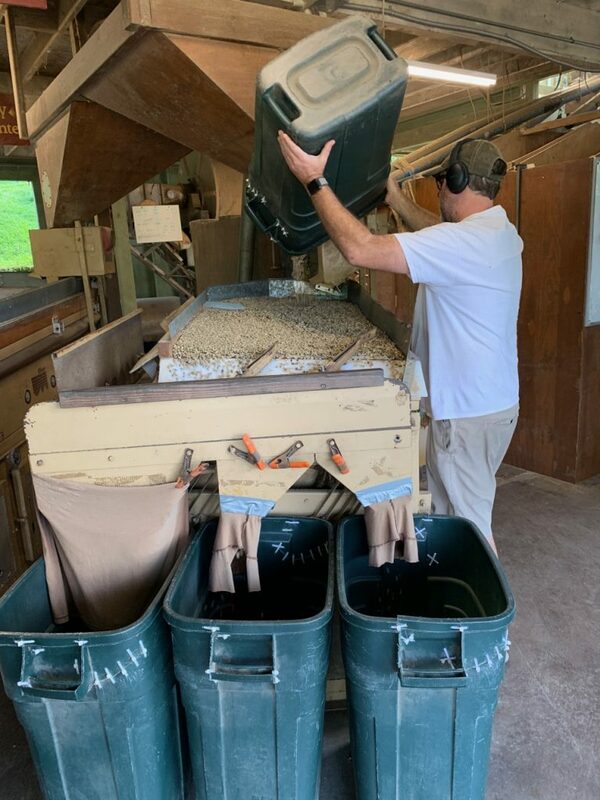 The result is each tray contains a specific grade: peaberry, extra fancy, fancy, number one, prime, triple X, and rubbish. Each tray contains a specific grade. The middle tray contains extra fancy. The closest, fullest tray contains fancy. Other grades are lower & some aren’t visible. This area comes after the trays. The levers control which grades continue down to the gravity table. 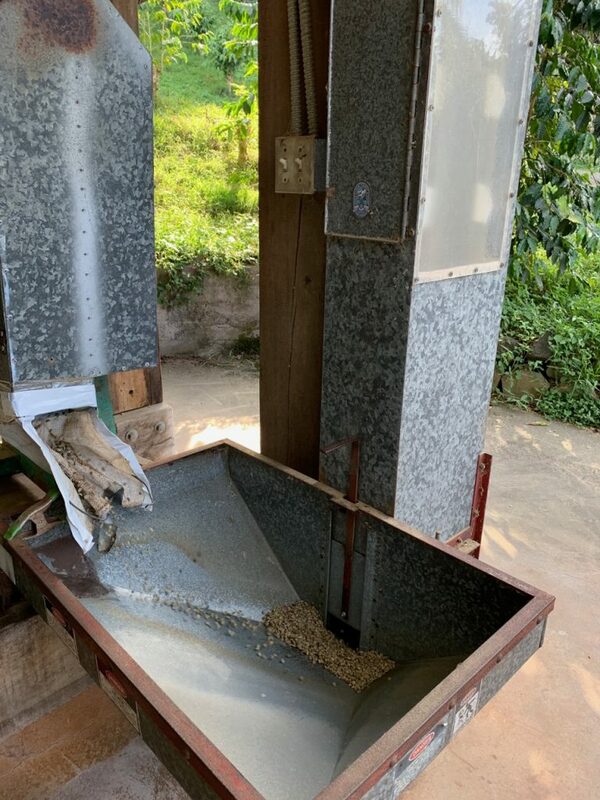 The green coffee comes from the grader above, down to the gravity table. 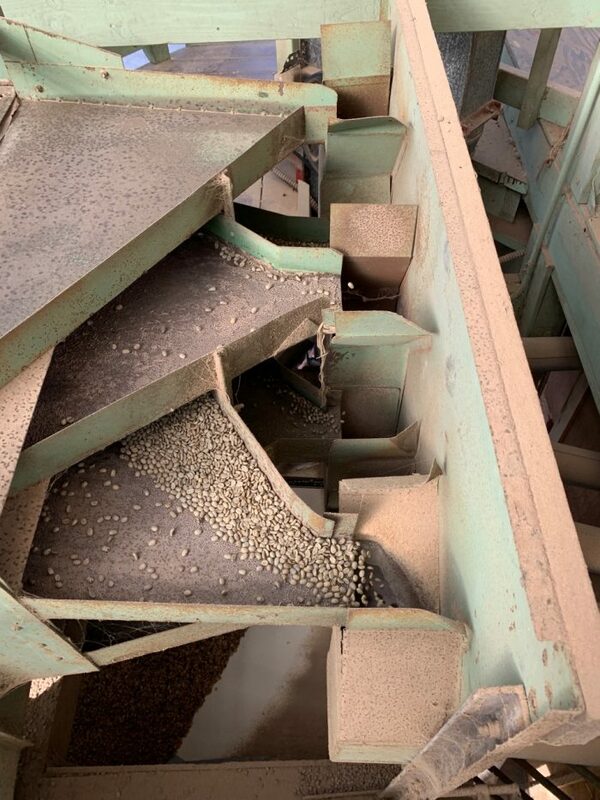 The heavier, better quality beans stay on the higher left side; the lighter, lower quality beans are on the right side. The master miller Jason knows where to adjust the two boards that control which beans go in which of the three bins. Occasionally Jason re-runs a bin. A master knows. The green beans from the top quality bin. The beans from the inferior quality bin.